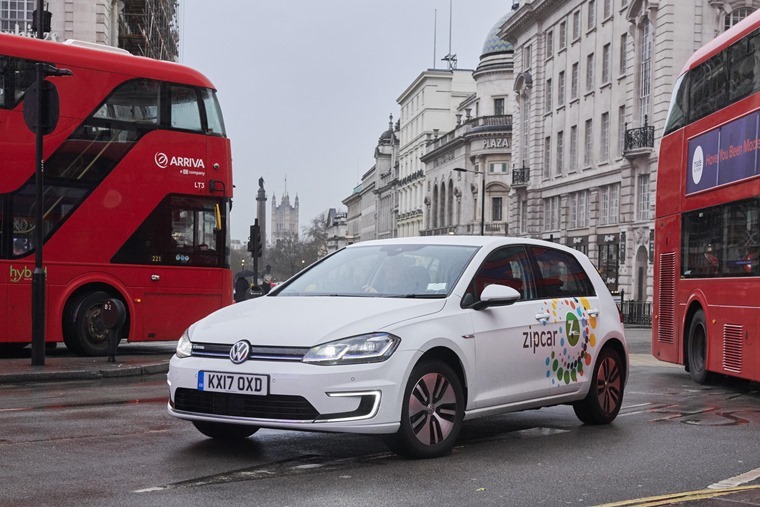 Car sharing company Zipcar has added 325 all-electric e-Golfs to its fleet, to sit alongside the petrol-electric Golf GTE hybrid and internal combustion-engined Polo. Following the initial partnership in 2016, the introduction of the e-Golf will extend Zipcar’s Volkswagen partnership and form part of its new Flex service. This allows members to use cars in one-way trips around the capital. Members of Zipcar will be able to book the all-electric car either online or through the Zipcar app when the e-Golf fleet comes on stream this summer. As one of the most popular electric vehicles in the UK, the Volkswagen e-Golf is exempt from the London Congestion and T-Charge, and will also be able to travel freely through the upcoming Ultra Low Emission Zone outlined by London mayor Sadiq Khan. Volkswagen substantially updated the e-Golf in 2017 and the model now has a range of 186 miles. This translates to a realistic range of 124 miles when real world driving style and other parameters are considered. With power up by 15 kW to 100 kW, and torque up 20 Nm to 290 Nm, the updated e-Golf reaches 62 mph in just 9.6 seconds and boasts a new lithium-ion battery capacity of 35.8 kWh. 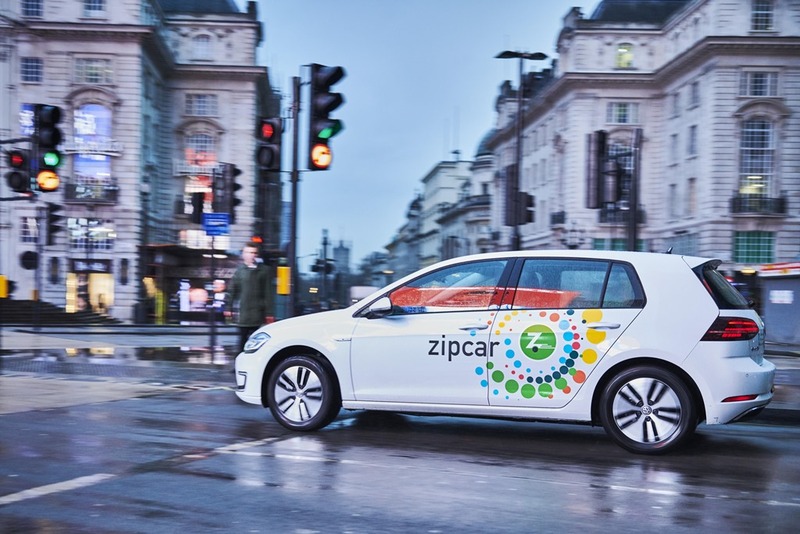 Jonathan Hampson, general manager for Zipcar UK, said: “We have always wanted to use the cleanest possible vehicles, which is why we’re incredibly proud and excited to team up with Volkswagen for this zero emissions initiative.